The Panasonic LUMIX DMC-G2 is the world’s first* digital interchangeable lens system camera with a movable LCD that allows for touch-control, and the successor to the award-winning and revolutionary LUMIX G1, which was the world’s first DSL Micro Four Thirds digital camera. The intuitive touch-control shooting elevates the camera’s operability, letting the user adjust auto focus (AF) simply by touching the subject on the large 3.0-inch 460,000-dot high-resolution LCD. The LUMIX G2 also shoots 720p High Definition video using the AVCHD Lite format. With the touch-screen operation, users can even snap a photo by touching the LUMIX G2’s screen. Additionally, the touch-screen operation excels not only for shooting but also during playback. 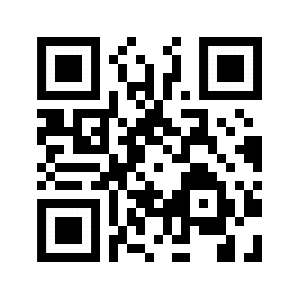 Users can touch one thumbnail viewed among many to quickly and easily see the full size of the desired photo. Also, to view images one-by-one, photos can be dragged across the screen to browse as though flipping the pages of a book. Once a user locks onto a subject, the LUMIX G2 enables AF Tracking and will track the subject as it moves within the frame. Then, with a touch on the screen, users can select the part and the size of AF area with the 1-area AF. The Multi-area AF sets a group of AF points according to the composition. With touch operation, menu settings can be changed quickly; cutting the time it takes to navigate using standard cursors. However, all setting changes can still be made using the control pad, if preferred. The LUMIX G2 records 1280 x 720 HD videos in the AVCHD Lite format, which increases recording capacity and is highly compatible with audio-visual equipment. With a dedicated video record button, users can easily start recording a video. To complement its high-quality video capabilities, the LUMIX G2 features advanced audio options, as sound is recorded with Dolby Digital Creator and an optional accessory stereo microphone can be attached. A Wind Cut function further enhances the sound as it helps reduce noise caused from background wind. For entry-level users wanting to step-up to a digital interchangeable lens camera, the LUMIX DMC-G10 is an affordable, high-performing and compact option. The LUMIX DMC-G10 is the world’s lightest* digital interchangeable lens camera with a viewfinder, which packs a host of advanced digital camera functions designed to be easy-to-use for users new to system cameras. 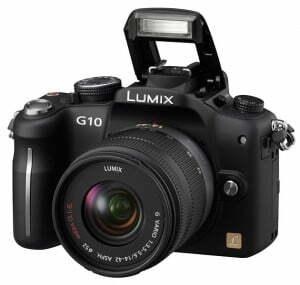 The new compact and portable LUMIX G10, can also record 720p HD video in JPEG, QVGA, VGA and WVGA formats. Users can enjoy recording HD videos while taking advantage of the high-quality lens and the flexibility to change to other lenses. The LUMIX G10, with its incredible compact body and portable design, uses a mirrorless structure as part the Micro Four Thirds System standard, eliminating a number of components that are found in a conventional interchangeable lens camera, including the mirror box and optical viewfinder unit. 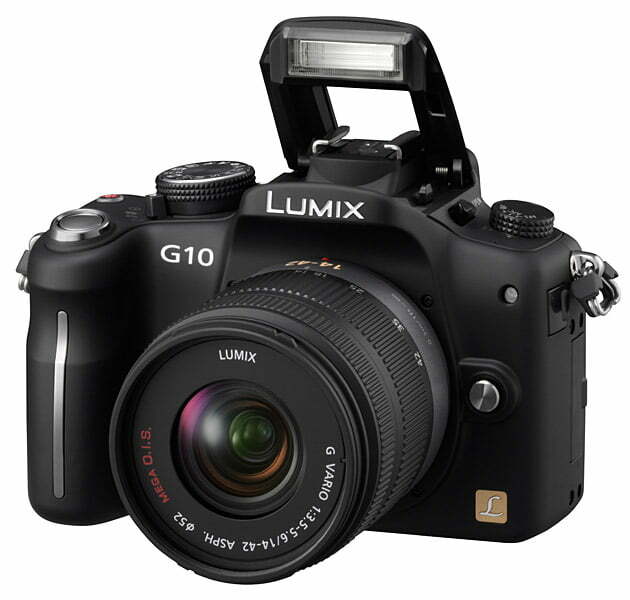 Also, Panasonic designed the LUMIX G10 to be easy to use and offers iA (Intelligent Auto) – an easy shooting mode with automatic optimization according to the scene in either photo and video recording. This feature is helpful to beginner users unfamiliar with an interchangeable lens system camera, as the settings engage automatically. With the new dedicated iA button, which illuminates in blue when engaged, activating this mode is even easier. Both the LUMIX G2 and LUMIX G10 will come equipped with the LUMIX G VARIO 14-42mm/F3.5-5.6 ASPH/MEGA O.I.S. lens. The new lens offers a versatile zoom range of 14-42mm (35mm camera equivalent: 28-84mm), making it suitable for shooting a wide-range of scenes, from dynamic landscape to portrait. Furthermore, both models are compatible with all LUMIX G-Series DSL Micro Four Thirds system lenses, allowing users even higher levels of performance in a digital interchangeable lens camera. In addition to LUMIX G lenses, the LUMIX DMC-G10 and LUMIX DMC-G2 DSL Micro Four Thirds digital cameras can use any interchangeable lens that complies with the Four Thirds standard via an optional mount adaptor DMW-MA1 and with the prestigious Leica M/R Lenses via DMW-MA2M or MA3R. For more information on the Panasonic LUMIX G Series DSL Micro Four Thirds digital cameras and all its accessories, please visit: www.panasonic.com/lumix. reason appeared to be on the web the easiest thing to bee aware of. the whole thing without having side-effects ,people could take a signal.